Dental patient retention is an important subject. There are several reasons why patients leave and often it can be easily solved once you understand the reason(s) why. It can be particularly frustrating when you are doing an excellent job bringing in new patients and they end up dropping off like flies. It can be quite expensive to acquire new patients, so every effort should be made to keep them once you get them. I will go over the common reasons why patients leave, then discuss what you can do to keep them around longer. 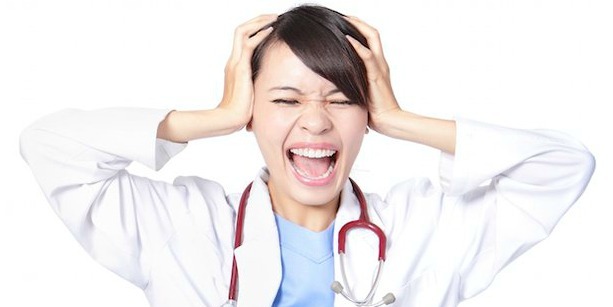 Patient Retention: Please, Don’t Go! Patient Retention: It Could Be My Fault. Now, let’s look at products and service companies that do rely on repeat service to grow and profit. In this example, a Dentist, coffee shop or a hair stylist. Did the customer not receive what they expected, so they went somewhere else the next time they needed your service? Again, there could be a variety of reasons. But, you need to know what you could be doing wrong to not get this customer to return to your business. If you sense you have a problem with patient retention, you need to measure how long you are retaining your patients, go back through the last year and put your patients in to a spreadsheet. Include a column for type of service rendered, start date, completion date, performed by who, cost, notes to record any problems, and changes such as a different assistant handled the service call or they had to wait a half hour. Numbers tell stories and you might be able to quickly diagnose a trend that can be fixed immediately when it comes to dental patient retention. Also, look for things out of the ordinary. For instance, certain patients stay after receiving one service over another type of service. If this doesn’t uncover your lack in patient retention, you need to ask. Hire a third party person to conduct a short survey and follow up with a call to find out how they found out about you, what they liked and didn’t like about their experience, why they didn’t come back and what could they have done to keep your business? Patient Retention: It’s not them, it’s YOU! If nothing comes up after these methods have been tried, you probably are going to have to face the cold hard truth… It’s YOU. Something you are doing is turning patients off and they are taking their business elsewhere (and taking a toll on your patient retention percentage). For example, maybe you talk incessantly or you have chronic bad breath or your chairside manner is poor. I once talked to a doctor about his marketing issues and patient retention was at the top of his list. On the surfaced he appeared to have it all together, but once I dug into the matter, I quickly realized… it was him. He didn’t care what his employees thought. His ego was so big, he had all the answers. He was hard to work with. And ultimately, an unhappy environment will scare patients away. It is easy to blame everything and everybody else around you, rather than having to look yourself in the mirror and ask, “Is it me?” If it is, start doing some soul searching and fix the problem... your patients will thank you! Red Star Marketing is located in Kansas City and works with dental practices locally and nationally on all phases of marketing, including dental website design, internet dental marketing, dental marketing services and dental postcard campaigns. We are always ready to accept new dental marketing projects. For a personalized dental postcard assessment and quote, please contact Shawn at 816-223-1400.